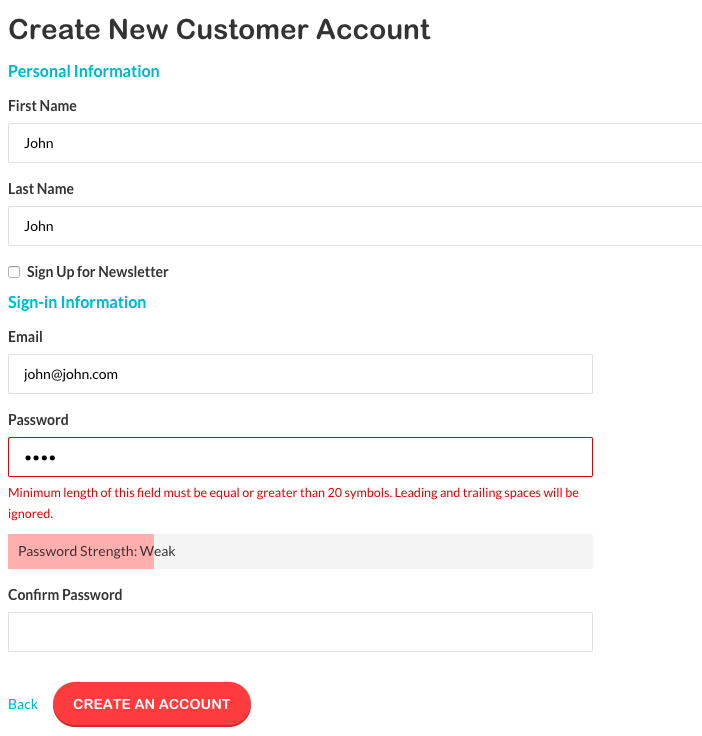 Magento 2 How to change password length validation? I want to change the minimum length of password checking to 8. I tried changing validation.js rules.js but seems not work. How can I change from 6 to 8? We can use jquery validation in Magento 2. You can add this file in .phtml or .js file. Let’s see how we can do this. Not sure at which version this was introduced but if you update your store to the latest version (I'm on 2.1.1) it will be available. Not the answer you're looking for? Browse other questions tagged magento2 validation password or ask your own question. Magento2 How to add custom validation for password?